South Temple | Saturday, May 5th | 10:00 a.m. - 5:00 p.m. 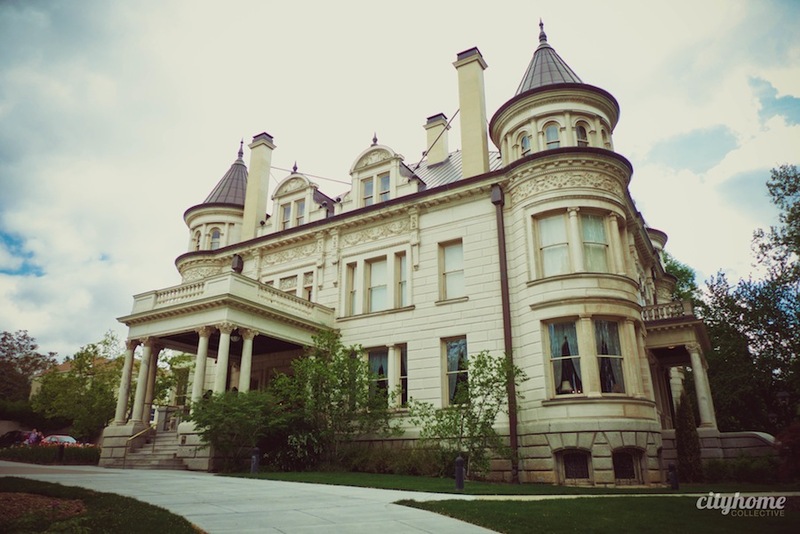 Since 1971, the Utah Heritage Foundation has offered tours of historic homes in historically-significant neighborhoods throughout Utah. Previous tours have included Yalecrest, Normandie Heights, Avenues, Capitol Hill, Downtown, Federal Heights, and Westmoreland-Place neighborhoods of Salt Lake City, as well as parts of Bountiful, Farmington, Copperton, Magna, and Park City. 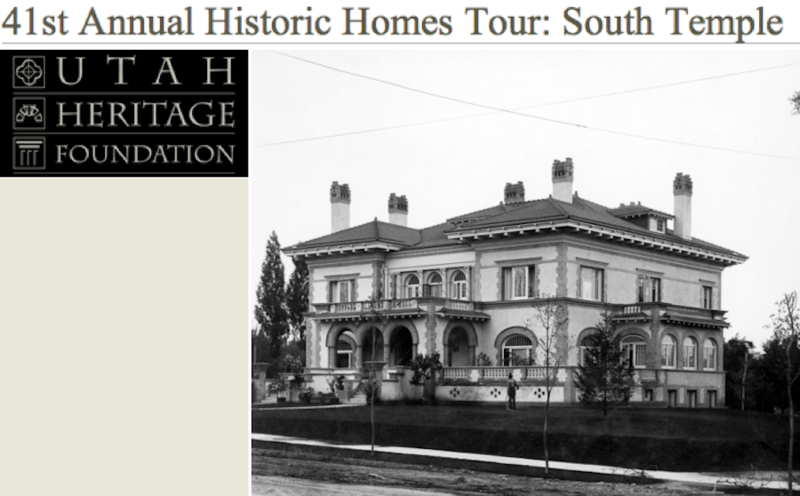 The upcoming 2012 tour will include historic homes on South Temple, otherwise known as Salt Lake's 'Millionaire's Row'. "South Temple was first envisioned in Joseph Smith's plat of the City of Zion. 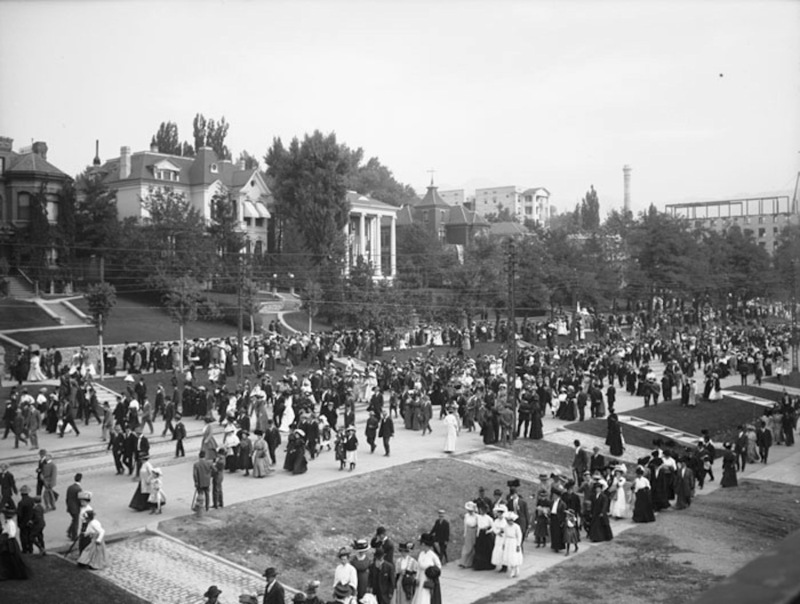 The street was meant to be the finest and most prominent avenue in Salt Lake City, as well as a model for other cities and towns in the west. South Temple was named one of the American Planning Association's 10 Great Streets in America. The street is known throughout Utah for its historic residential design and craftsmanship, diversity of land uses, and the integration of multiple forms of transportation throughout history. It is also seen as a commitment on the part of the community to preserve its legacy. The beautiful tree-lined street runs 18 blocks long from the University of Utah to the city's central business area downtown, and integrates a mixed use district with historic homes, churches, commercial services, and retail establishments. As mining became an economic powerhouse in Utah, the original dirt road, also known as Brigham Street, was developed as a stately residential street where the wealthiest families built their mansions. Today it is home to the world's richest collection of religious and non religious buildings: Mormon and Masonic temples, Presbyterian and Catholic churches, including the beautiful Cathedral of the Madeleine, as well as historic fraternal clubs. As property values continued to increase during the 1960s and 1970s, the community began fighting a trend of demolition. 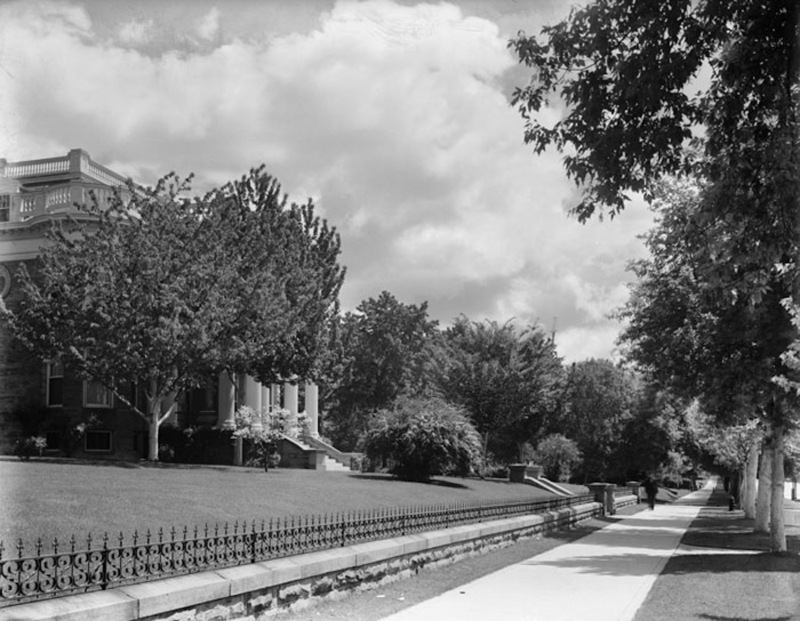 This played a very large part in initiating preservation efforts in Utah, leading to the designation of South Temple as Utah's first local historic district. This district was listed in the National Register of Historic Places in 1978. In addition to protecting historic buildings and mansions, South Temple residents also found it important to preserve the small, important details and features, such as carriage steps, hitching posts, and sandstone retaining walls. The city even re-purposed the original streetcar lattice posts into modern-day street lamps. South Temple is not only a fine representation of the rich history of Salt Lake City, but is also a great example of the melding of historic preservation and modern technology."